Randall Jarrell writes in a letter describing a public lecture given by Kenneth Burke in 1952: “It was so bad it was almost feeble-minded; so extravagantly mechanical and verbose and senseless and full of absolutely irrelevant free association that you felt a band of robbers had made up the speech and were making him deliver it, to his own disgrace, with a machine-gun trained on him.” Following this vein, this essay considers scholarly resistance to the work, theories, and person of Kenneth Burke. Burke has become a central figure in rhetorical scholarship, so much so that some have come to consider his contributions as a dangerous form of undiagnosed “received wisdom” (Jameson 1978). The extent of the contemporary inducement to resist Burke is great enough to warrant discussion of resistance to Burke as an intellectual movement in rhetorical studies, and as such further warrants a discussion of what effects this movement may be having in our field. Finally, the essay considers whether rhetoric has something to gain by making such a divestment from a Burke-centric view of its own foundations, and investigates the disciplinary stakes such a debate lays bare. KENNETH BURKE IS undisputedly one of the most influential figures in the last century of rhetorical studies. His vast textual corpus has over time established the very bedrock and lexicon upon which much of the discipline has been built. Despite his death and the decades that have passed since his last major publications, Burke remains today a widely well regarded cultural critic and rhetorical theorist. The plainest evidence of Burke’s lasting influence in rhetorical studies is the rate at which he continues to be cited; between the 1970s and 1980s, the number of articles citing Burke nearly quadrupled (from 119 to 400), and this rate has continued to steadily increase since then (Rountree “By the Numbers”). For example, since 2008, far more articles have been published about or using Burke in Rhetoric Society Quarterly than any other rhetorical theorist or figure.1 Burke is also the only rhetorical theorist to have his own journal.2 I mention these data only to highlight Burke’s continued and lasting significance for rhetorical scholarship. Nevertheless, one consequence of sustained intellectual importance is the inevitability of critique. Burke’s work has always endured critique from a variety of perspectives. A number of rhetorical theorists have questioned the continued relevance of Burke for the new directions rhetoric has taken since the mid-twentieth century, and have begun to question why common critical practice often treats Burkean theory as received wisdom, or what Fredric Jameson referred to in 1978 as “received idea or unexamined presupposition” (“The Symbolic Inference” 508). My goal with this essay is to explore this resistance to Burke in its full spectrum and to bring the major sources of this resistance together in one place. In doing so, I identify three main themes resistance to Burke heralds. The first of these is Burke the usurper. Critiques in this vein highlight ways in which Burke has (allegedly) usurped and transformed the work of other theorists in ways that appropriated, distorted or unnecessarily reduced their claims. A common variant of this argument is that some or many Burkean scholars are guilty of using Burkean theory to commit the same crime. The second theme is Burke the outdated/uncritical. Much of the work revolving around this theme notes the need for rhetorical theory to move past Burke either by rejecting him or revising him in productive ways that take into account various developments in rhetorical theory over the last century. For example, authors exploring this theme tend to note the variety of ways Burke’s theories have (allegedly) ignored important social dynamics such as ideology, gender, ethnicity, or class (to name the most common few). Finally, the third theme hinges on Burke’s relationship to postmodernism: Burke the modernist/postmodernist. While there is considerable controversy over whether Burke should be read as a modernist or a postmodernist, critiques of Burke that enter this debate tend to consider his work to be too modernist (or, perhaps more specifically, not postmodern enough). I’ve chosen these themes because they are represented in a diverse range of work on Burke, and broadly represent commonplaces of discontent. In many cases, these resistant themes overlap, and one often finds writers employing more than one of them in their scholarly criticisms. I see this article as in some ways an inverse counterpart to Brummett and Young’s 2006 article “Some Uses of Burke in Communication Studies.”3 Whereas the authors in that article describe their work as a study of the uses of Burke by rhetoricians in communication studies, one might characterize this essay as a study of the various disuses of Burke (or at least attempts to disuse, dislodge, distort, or disorient Burke from rhetorical studies). It will, I think, also become apparent how the “disuse” of Burke is itself but another way of using him. Thus far, there has been no extended examination of the body of work that resists Burke in one form or another. The extent of the inducement to “resist Burke” is great enough to warrant discussion of resistance to Burke as an intellectual movement, and as such further warrants a discussion of what effects this movement may be having in our field. Finally, I consider whether rhetoric has something to gain by making such a divestment from a Burke-centric view of its own foundations, and investigate the disciplinary stakes such debates lay bare. In the following section, we start with some reactions to the early Burke, and establish the context in which Burke ultimately found his footing with rhetorical scholars. Burke was no stranger to harsh criticism in his early career. In the 1930s, a number of unfair and intellectually questionable appraisals of his work were written. Burke faced criticism from the academy for violating or ignoring what were considered standard approaches to understanding form, judgment, and poetry, and in some cases from the political left for his attempts to combine literary criticism with Marxist politics. Allen Tate notes that at the American Writers’ Congress in 1935, Burke was “attacked for describing the class-struggle as a myth competing with other myths for supremacy in the modern world” (63). I have chosen to consider several sources of early criticism of Burke (what we might call pre-canon criticisms) separately from the later criticisms mainly to tell a story of the early Burke’s rise to disciplinary importance, as a crucial historical element of what has led us to the point at which we now find ourselves again considering the need to challenge something of what Burke brought with him to the parlor. Many of the early criticisms of Burke were ripe with misreadings, ad hominem, and vitriol, but were sometimes tempered by a nod toward theoretical concerns (some valid, some baseless). For example, in an early review of Counter-Statement, Harold Rosenberg writes that “Mr. Burke has accepted a too naïve form of the artist as craftsman and communicator idea; and this is related to the even greater ingenuousness with which he treats certain philosophical problems” (29). After quoting a passage in which Burke suggests that Plato’s divine forms can be translated from the metaphysical to the psychological, Rosenberg continues: “It would be unfair to Mr. Burke to quote this absurd passage were it not at the root of his misconception of the poetic problem” (29). Rosenberg goes on to argue that Burke “impugns” just about everyone with his arguments about the nature of form and its relationship to art, and in so doing reveals not just the narrowness of his own views on but also many of the limitations undergirding academic theories of literature, art, and criticism in the early 20th century generally. Rosenberg’s review ironically ends up giving a great deal of evidence for Burke’s importance in introducing a degree of complication to literary and art criticism in a time dominated by the New Critics. The greatest difficulty that confronts the reader of Burke is finding out what he means…The result is that there is neither beginning nor end to his argument. Its course meanders into all fields of knowledge where due to Burke’s wide but not very discriminating reading its force is weakened by a lore more quaint than precise… Even for an unsystematic writer, the organization of the book is extremely bad (89-91). Burke’s speech was just like a parody of everything in “Age of Criticism”; Robert [Fitzgerald] and I looked at each other in mute awe. The audience shifted and yawned and half of them, even, saw how bad it was. It was so bad it was almost feeble-minded; so extravagantly mechanical and verbose and senseless and full of absolutely irrelevant free association that you felt a band of robbers had made up the speech and were making him deliver it, to his own disgrace, with a machine-gun trained on him. Brummett and Young note that in the early 1950s “[Burke] turned to Communication Studies at about the same time that Communication Studies turned to him.” In the same year as Jarrell wrote his unflattering letter, Burke found himself introduced to Communication Studies as a serious force in contemporary rhetorical theory in Marie Hockmuth Nichols’ article “Kenneth Burke and the ‘New Rhetoric’” in the Quarterly Journal of Speech. In commentary on the article, William Rueckert wrote that “Burke’s two major spheres of influence up to this point had been among the literary critics and sociologists; Marie Hochmuth Nichols’ essay marks the beginning of a long and essentially healthy relationship between Burke and students of modern rhetoric” (286). Only an issue later, Burke published his first article contribution to QJS. It was from this point forward that Burke began gaining the theoretical traction that would eventually make him a major player in Communication Studies. Many of the early attempts to assimilate Burke into rhetorical studies—like that undertaken in Nichols’ article—relied on strategic misreadings to equivocate Burke’s rhetoric with Aristotle’s. Michael Leff writes of this reading of Burke as “an almost irresistible temptation to chart the new in terms of the old” in a time when rhetoric was dominated by neo-Aristotelianism (115). Leff describes teaching a classical rhetoric seminar on Cicero’s De Oratore which turned at one point into describing parallels between Cicero’s concept of form and Burke’s, but then “[t]here was an uncomfortable pause and then the boldest of my students blurted out: ‘But Burke is an Aristotelian’” (115). Leff’s story illustrates the challenge Burke faced in being read as Burke, rather than as simply another figure within an Aristotelian lineage. On the other hand, by identifying the shortcomings of the neo-Aristotelian approach to rhetoric Black left in his wake a glaring and urgent absence. As Thomas Benson wrote in a 2001 tribute to Black, “In naming neo-Aristotelian criticism, Black forever changed the grounds on which rhetorical criticism would be conducted… We woke up one morning in 1965 in a new discipline. One could disagree with Black, but one could not get back to the old context” (Benson 536-537). By undoing Aristotle, some felt the discipline had lost not only its system but also its most heralded figure. Thus, the second anxiety to emerge from Black’s Rhetorical Criticism was the need to find a system—or at least a figure—that could replace the newly defunct neo-Aristotelian model. Without a doubt, Burke benefited from both of these conflicting anxieties. What Rosenberg, Tate, and Hook had called a lack of organization and intellectual meandering was re-interpreted as inclusiveness and breadth of focus, illustrative of Burke’s capacity for encompassing the variety of rhetorical experiences Black made clear we needed to consider. In the same moment, Burke was a singular figure who could be identified as rhetoric’s new giant and who offered a developed system called “dramatism.” I am undoubtedly glossing over the complexities of the moment here, but there was certainly a sense that Burke could substitute for Aristotle as a father figure for the field, and that having such a recognizable giant added institutional legitimacy (and recognition) to the discipline much as Freud once did for psychology, Saussure did for linguistics, and Mills did for sociology. Of course, this is hardly the end of the story for Burke—indeed it is perhaps better understood only as an end to the prologue. It is to Burke’s credit as a writer that one can read the grooves and striations through which Burkean discourse has traversed so clearly through his famous parlor metaphor.10 Burke’s metaphor is especially poignant when considering its implications for the future of rhetoric. If Burke has undergone the initial trials, the initial bouts of debate, and entered into an era of chief discussant, at what point will the hour grow late? Burke needn’t be present for discussions about his contributions to go on, yet eventually new interlocutors will enter (indeed they have already) and the atmosphere of the parlor changes. With the explosion of new methods, orientations, and philosophies of rhetoric since Burke first became part of the rhetorical canon, it is neither unusual nor unexpected that many have found new reasons to react against something of Burke. Indeed many who recognize Burke’s importance to our discipline nevertheless feel that he was but a man of his own era (as we are all limited by our fleeting appearance in the relentless march of time) and therefore offers a system inadequate to the challenges rhetorical theory and criticism face today. The remainder of this essay will explore these newer sites of resistance to Burke. Because this essay is ultimately about resistance, I feel my use of the term requires some explanation. Resistance includes a wide range of behaviors, thoughts, and impulses that need not always be intentional. In other words, I mean to include the implicit resistances of misreading (whether deliberate or not, or productive or not), transforming, revising, and stretching in my definition along with more explicit elements like the expressed hostility and disdain of many of the early critics we have already examined. Acts like “extending” on Burke’s theories or transforming one of his tools to better fit a new object do not operate only by implying a utility in Burke’s work but also by expressing some fundamental lack, partialness, or inadequacy which the critic is to address. Such extensions of Burke function dialectically by, on the one hand, preserving something of Burke, but on the other by pointing out an obsolescence within his work. Thus, while I have often heard it remarked that critique is the sincerest form of flattery, I do not believe we should conclude that scholarly engagement is always about locating pockets of consubstantiality with the work of the one who has been engaged. Just as often, engagement implies a relationship of resistance. Burke’s own view of identification as compensatory to division supports such an understanding (Rhetoric of Motives 22). Now, in the following sections we will explore some of the themes surrounding more contemporary resistance to Burke and Burkean scholarship. Vico seems to be the source—typically, unacknowledged—behind Kenneth Burke’s adding to one of his books an appendix discussing ‘Four Master Tropes’, namely the same four, metaphor, metonymy, synecdoche, and irony. Burke also subordinates them to his own concerns, free-wheeling, allusive, unhistorical philosophizing, a system that rearranges the components of classical rhetoric so idiosyncratically as to be virtually unusable (440-441). Thus, in Vickers view, not only is Burke derivative of Vico, but he usurps him by not acknowledging his influence on his work, and in reducing Vico for his own “concerns” makes his work idiosyncratic and virtually unusable. Vickers’ short paragraph succinctly identifies the kernel behind all of the ‘usurper’ criticisms of Burke—not only that he uses the work of others, but that he does so with inadequate acknowledgement of the source and in a manner that dilutes the original material. At this juncture Burke stops theorizing and begins reading philosophy. For nearly two hundred pages he assumes the perspective of the disinterested morphologist, deciphering “the various schools as languages,” using the pentad “as a generating principle that should enable us to ‘anticipate’ these different idioms” ([A Grammar of Motives] 127). In this way Burke reads Hobbes, Spinoza, and Darwin; Berkeley, Hume, and Leibniz; Kant, Hegel, Marx, and Santayana; Aristotle and Aquinas, appropriately situating each philosopher’s discourse on his terminological grid. However, it is in the process of reading Marx that Burke unwittingly exceeds the protocols of his own method and in so doing brings his morphology and, by implication, his theorization of the human being to crisis (34). Biesecker’s critique mirrors a commonly held anxiety about what Arthur DuBois referred to as Burke’s “intellectual larking” and “rococo manner” of analysis (DuBois 83, 89).11 The argument is that Burke tries to “reconcile too much” in his fleeting accounts of what a number of giants of literary theory, philosophy, sociology, and psychology have said before (DuBois 86). While such reconciliations are sometimes plausible, at other times Burke simply overreaches. One cannot, for example, give a reasonably developed account of the trajectory of philosophy by covering Berkeley in four and a half pages, Hume in three, Leibniz in one, Kant in a handful, and Marx in a handful more as Burke does in the middle of Grammar of Motives. To do so excludes too much, and virtually concedes to the conclusion that his perspective on these thinkers is reductive, at least insofar as it is expressed within those pages. What Biesecker chose to explore are those places where she feels he has taken one step more than may be justified. About the task of this book and the use of a deconstructive strategy of reading in order to accomplish it, two more points must be stated. First, a deconstructive critique does entail a critical gesture… [T]here can be no doubt that the project does challenge the authority of the text; that the critic does confront the text with an eye out for its limits. In terms of my reading of Burke, then, all of this means I will move into his writing with the attitude that “this is not it, that is not all.” I suspect that such an approach to Burke will not sit well with a great many scholars who will diagnose my approach as a sign of clandestine disrespect for the father of modern rhetoric or perhaps even as a symptom of failure on my part to appreciate the delicate workings of a mind whose capacities far outstrip my own. In anticipation of such charges I simply say that I only demand of Burke what he always demanded of others: that we engage in persistent critique, that we refuse to forget that it is always “most complicated than that” (18-19). What Biesecker reveals with this passage is that her act of deconstruction operates dialectically. On the one hand, she describes her critical act as displaying a rigor which Burke’s work demands—a description which clearly grants due respect to Burke’s corpus—but on the other she acknowledges that her effort ultimate challenges “the authority of the text” itself, suggesting that, like with all scholarship, Burke’s work will be found wanting. Biesecker, then, is describing a willingness to resist Burke on his own terms, to identify the places he “exceeds the protocols of his own method.” Biesecker’s list of philosophers Burke works through is given to us flippantly, in a way that suggests Burke’s approach to each of them was equally flippant or superficial. Burke, in Biesecker’s view, is interested not in understanding these thinkers, but in situating them within his own grammar. The common theme of Burke as usurper pervades a number of other texts, most frequently citing appropriations of Marx and Freud. Robert Wess takes a more optimistic view than Biesecker of Burke on Marx, writing that “He took Marx seriously without taking him as gospel” (59). Wess cites a revealing letter written by Burke to Malcolm Cowley on his own “literary” communism: “I can only welcome Communism by converting it into my own language… My book will have the communist objectives, and the communist tenor, but the approach will be the approach that seems significant to me” (qtd. in Wess 60). Combining Wess’s and Biesecker’s perspectives one might formulate the argument that Burke appropriates thinkers into his mode of thought without the intention of necessarily preserving their philosophical discourses in precisely the ways the original thinkers might have intended for them to be read. I’m not the first to observe that Burke spent much of his career, in fact, tweaking, applying, and extending Freud’s ideas. Ellen Quandahl, David Blakesley, and others have demonstrated that Burke, in Freud’s footsteps, set out to expose human motivations by analyzing language, and that he lifted several of his own key terms, such as “identification” and “motive,” from The Interpretation of Dreams (124). There was no clean break, no moment at which Burke suddenly turned against Freud. What I hope to demonstrate here, rather, is that according to the subtle registers of the Freudian ambivalence machine, Burke’s love harbored within it a desire to take out his teacher, to take his place, to re place him and his theory of identity (124). Davis’ critique goes beyond just pigeonholing Burke as a warmed-over Freud. Her essay takes on “[w]hat gets deep-sixed in Burke’s articulated revision,” which Davis summarizes as “a more radically generalized rhetoricity, an a priori affectability or persuadability that precedes and exceeds symbolic intervention” (125). One can catch snippets of the resistant overtones just by grabbing a few key rhetorical constructions throughout the article: “[Burke’s] anxiety of influence did take a parricidal turn” (124); “digging up something of what Burke buried” (125); “[Burke] repeats it over and over like a refrain, as if it were deflecting a traumatic insight” (130-131); “Freud also had the guts” (in context, this line seems to imply that Burke did not) (133); “we witness Burke bring up but then very quickly drop the ‘rhetoric of hysteria’” (140); “Burke’s truncated rearticulation of Freud’s theory” (144); “what Burke censored in Freud” (144). Davis includes Burke scholars in her criticism, too: “Burke scholars rarely challenge his claim that the ‘centrality’ of the nervous system is intrensically [sic] divisive” (128). Ultimately, Davis persuasively proves her point about the shortcomings of Burke’s understanding of Freud, but includes a healthy dose of academic ire along with it. A brief examination of current communication journals will reveal that today Burke has become the most popular rhetorical theorist in the field, but with this popularity comes a problem. Kenneth Burke is in danger of becoming the modern-day Aristotle. Most communication scholars have now read some of Burke’s work and are aware of the flexibility of his rhetorical theory. Burke himself even argues that he has a general theory. So the danger is that scholars will use Burke’s concepts for anything they want to study. Some people act as if there is no research question that his method cannot answer, no data to which it cannot be applied. This is essentially what happened to Aristotle’s rhetoric... However, a theory that is required to do everything does very little in practice because it becomes too general. It does not make the fine distinctions necessary for sophisticated analysis. It ultimately is reduced to conventional wisdom (347). We can read Brock’s statements in two different but compensatory ways. The first interpretation of Brock’s introduction is that there is simply too much Burke floating around. By inundating the field with Burkeanism, we limit the scope of what we can do with criticism by pretending we can do it all with a single approach. The second interpretation, to which I think we should lend significant weight considering Brock’s own forays into Burkean theory and criticism, is that by doing too much with Burke we hurt Burkeanism by diluting it. By pretending Burke’s methods are universally applicable, one may inadvertently forgo the opportunity to make a case for their unique applicability to anything in particular. Consider the relative disappearance of neo-Aristotelian criticism today (at least compared to its status a few short decades ago), and one can imagine Burke’s methods becoming similarly historicized rather than used. This anxiety may be the more important component of Brock’s critique. Reticence toward dominant theories and narratives is a more-or-less consistent theme in the study of rhetoric. If the discipline has come to the point where one could neutrally label Burkean theory as a dominant force without causing considerable controversy over the claim, then it should not be surprising that some might suggest that a reconsideration of the state of the parlor is in order. This leads us to the second major theme in reading resistance to Kenneth Burke: the need to move on. [W]e thereby instinctively designate bodies of criticism in which the practice of peculiar and sometimes eccentric textual interpretations is at one with the projection of a powerful, nonsystematized theoretical resonance, and this even where the critic himself… misguidedly but compulsively submits his materials to a rage for patterns and symmetries and the mirage of the meta-system (508). In other words, Jameson read Burke’s latitude as wide enough to vaguely encompass nearly any of “the older philosophical systems,” which in turn led to free association and play on the part of the critic rather than serious theory. Jameson questions Burke’s corpus, “to which lip service is customarily extended in passing,” for not being uncompromising enough in his apologia for the “active power and social function of the aesthetic,” arguing that we need instead a theory strong enough to approach the criticism of the ideology of form (508, 510). These concerns come in part as a precursor to Jameson’s own book The Political Unconscious: Studies in the Ideology of Form which was to be printed a few short years after the essay in Critical Inquiry. Jameson was concerned with placing ideological criticism at the forefront of the study of symbolic forms, and ultimately tells us of the lesson he wants his reader “to learn and then to unlearn from Burke”: first the notion of strategy and second the theory of dramatism (“The Symbolic Inference” 513-514). Jameson writes that thinking of the strategies of linguistic discourse in the terms Burke does formalizes critical discourse and leads one to sense its inner ambiguity, “to suspect it of harboring some secret strategy in its own right” (514). Thus a discourse of strategy ends up dividing the act from the interrogation of the social and ideological purposes that first constitute it as an act. The very forms of legitimation have been dialectically transformed, and consumer capitalism no longer has to depend on conceptual systems and abstract values and beliefs to the same degree as its predecessors in the social forms of the immediate past; thus what tends to strike us today about the Grammar and Rhetoric of Motives is less their critical force than Burke’s implicit faith in the harmonizing claims of liberal democracy and in the capacity of the system to reform itself from within (“The Symbolic Inference” 520). Through this statement we can understand what Jameson means when he argues Burke is uncompromising, but not uncompromising enough. Jameson gives us an angle by which to understand what would prompt Brock to write of Burke as the new Aristotle – Burke was being appropriated to become a tool for a continued political and intellectual hegemony. Thus, while Jameson was certainly critical of Burke, much of his discontent seems also characterizable as an ire toward the power of capitalism to recover and incorporate critical methods as evidence of its own superiority as a system. That Burke’s own heated response speaks past these issues is due to the nature of the ideological just as much as to Jameson’s potentially incomplete knowledge of Burke’s work. The ways in which the Jameson-contra-Burke debate is written about now speaks much to the importance of understanding ideologies of theory. In David Smit’s “Burke Contra Jameson on Ideological Criticism,” the author writes of the conflict as if it were somehow a “pure” contest of cultural theory and criticism, two equal minds facing off together in “the paradox of cultural critique put in its strongest terms” (81). Such a characterization of the debate, while likely not intended to do so, resituates the theoretical struggle in safe terms that offhandedly dismiss any challenge to Burkean theoretical dominance posed by Jameson. Other notable texts that include consideration of the Jameson debate include Stephen Bygrave’s Kenneth Burke: Rhetoric and Ideology, Robert Wess’s Kenneth Burke: Rhetoric, Subjectivity, Postmodernism, and Bryan Crable’s article “Ideology as ‘Metabiology’: Rereading Burke’s Permanence and Change,” all of which do considerable and valuable work in addressing the role of ideology and ideological criticism within a Burkean framework. Nevertheless, all three work primarily to answer the question of how Burke treats ideology, rather than Jameson’s second question of how Burke reinscribes (or is used to reinscribe) dominant ideologies. While Burke himself would understandably reject any characterization of his work as a tool of ideological hegemony, Jameson compellingly illustrates ways in which it may be read primarily through “our old friend ‘false consciousness’” (“Ideology and Symbolic Action” 417-418). Neither rotten nor perfect, but now and again lunging down both paths (352). This adaptation of Burkean themes clearly indicates the extent to which re-evaluation and “extension” of Burke is plausible in Condit’s frame. Condit further indicts Burke for a failure to engage critically with multi-cultural texts, using as example his discussion of victimage in Language as Symbolic Action and Permanence and Change. She argues that he reads “almost exclusively what he openly describes as the texts of ‘Western’ civilization” (352). So too does he assume, “without any questioning of that assumption, that Christianity is a representative anecdote for all religion” (352). Thus rather than reaching a universal description of how humans are symbol using animals, Condit argues we receive only a vision of how Westerners use symbols. Condit argues that by Burke’s failure to use “multi-cultural materials,” he “leaves us with insufficient evidence to claim that [victimage] is the dominant motive of all cultures,” which “threatens to blind us to… the multiplicity of different motive structures available in language” (352). A post-Burkean model, then, would engage non-Western rhetorics in ways that would not diminish their forms so as to situate them within ill-fitting Westernized equivalents. Condit’s third contention on class is much more a critique of Burkean critics rather than Burke himself. She argues that it has become typical practice for Burkean critics to engage in the tragic perspective, while Burke himself advocated the comic approach. The result is that, when dealing with class issues, Burkean critics end up merely participating “in the oppositional processes that lead to a dialectic in which we indict the powers that are ‘in,’ urging that the ‘ins’ become the ‘outs’ and the ‘outs’ become the ‘ins.’ In the end, we still have ‘ins’ and ‘outs.’ We still have tragedy and victims. We still have the excesses of capitalism” (353). Condit’s discussion of class is her most developed argument of the three, and also the most directly Burkean. She argues that the rhetoric of tragedy that pervades rhetorical criticism only sets in motion the cogs of capitalism, and leads to the scenario in which “the capitalists win and the critics become the tragic victims” (354). Thus, Condit contends that only by adopting irony and a “tragicomic attitude” can the critic (a) be more faithful to the spirit of Burke, but more importantly (b) resist capitalism without falling prey to immediate reinscription. Chesebro’s “Extensions of the Burkeian System” focuses on four biases of the Burkean literature in need of reevaluation for Burke’s methods to extend their usefulness “in the years to come.” Chesebro labels these the monocentric bias, logocentric bias, ethnocentric bias, and methodological bias. He finds suspect in particular that “Burke has made claims for the universality of his system, and many of these claims have direct implications for how human communication is understood” (356). Chesebro argues that Burke’s project of finding a single, coherent center by which to understand human communication is a kind of monism, which is “a form of reductionism which de-emphasizes diversity” to promote a uniform perspective via overgeneralization (357-358). In other words, the idea of identifying a universal framework for formal analysis is always reductive if used without identifying alternate contexts and frames. While Chesebro himself doesn’t make this step explicitly, I think it’s safe to infer that his point isn’t to fully discredit the study of form, but rather to suggest that using the analysis of form broadly and uniformly is itself only a first step of study, and that good rhetorical criticism must be willing to step beyond the general into the specific. It is not enough to locate vague patterns; one must recognize also the points of formal difference arising out of contextual specificity. Such a move represents a shift, as Burke might frame it, from the grammatical to the rhetorical criticism of motives. Chesebro also describes Burke as overly interested in “the science of words” (logology), by which he means an interest into fitting words into schemas of symbols (358). Burke displays a bias for logological or scientific approaches to word use in that his methodologies frequently depend on categorization, structuration, definition, and a host of actions meant to shelter the forms of language use into an analytic in the same way scientists attempt to quarantine extraneous variables in an experiment. Though Burke’s analytic is hardly rigid (else it would be ridiculous to simultaneously discuss the sheer breadth of study Burke’s methods have been used for), even its fluidity is measured by a “fluid dynamics” so to speak when Burke introduces, for instance, a discussion of how the pentadic elements function in “ratios” with one another. Burke’s scientism, thus, implies a favoring of scientistic or logocentric modes of analysis: the need to identify “‘key terms’ initially to be isolated, the ‘bridging terms’ creating interrelationships among the key terms to be identified, and the points of departures, transitions, and terminations of the relationships between key and bridging terms be noted” implies a specific philosophy of language which is not on its face a neutral starting point from which to build all other methods (Chesebro “Extensions” 358-359). A bias toward logocentrism, Chesebro argues, isolates language from its societal contexts and masks its sometimes privileged origins (360-361). In other words, from Chesebro’s perspective a scientistic bias both decontextualizes rhetoric and masks one’s ability to recognize ideological discourses. Chesebro’s description of the Burkean “ethnocentric bias” reads the most similar to Condit’s arguments. He argues that the “older, white, Anglo, heterosexual, Western, male” perspective Burke employs is restrictive and potentially destructive, and gives his definition of ethnocentrism as “a habitual disposition to judge foreign peoples or groups by the standards and practices of one’s own culture or ethnic group” (361). He notes as did Condit, however, the profound societal changes with which Burke as critic had to deal, and notes that “Burke’s longevity has functioned as a double-edged sword, allowing him to promote his system for a protracted period of time but also dating specific reference points which rationalized the system” (361-362). In other words, Chesebro sees many of Burke’s limitations as a function of the social and scholarly environment from which he emerged. Chesebro’s contention of a methodological bias in Burke reads similar to the critiques leveled in his description of the logocentric bias, but deals more explicitly with the troubled notion of “frameworks” in general. Methodology in general (i.e., not just in Burke’s approaches) lends itself to ‘toolbox-ism,’ or the treatment of “any scheme of concepts” as a means through which to create “pre-fabricated ‘cookie cutter’” criticism that fails to be particularly insightful in any way. Chesebro doesn’t just indict Burke’s followers for this ill-advised activity, but cites Burke’s own use of the pentad to reduce radically different philosophical schools of thought (Hobbes, Spinoza, Darwin, and Stoicism) to having “substantial relationships” with one another by virtue of, for instance, a shared emphasis on the pentadic “scene” (363). Chesebro agrees that there may be ways in which the treatment of scene by these thinkers may be formally alike, but the analogs between them should require “more than the forty pages Burke spends” (363). Chesebro’s account of the biases culminates in the argument that Burkean scholars should not be religious in their devotion to Burke’s methods, and must be willing to recognize the limits of the Burkean system and use the knowledge of those limits to choose between “rejection, selective use, or modification” as strategies for maintaining the continued relevance of Burkean criticism (364-365). A subtext of Chesebro’s argument is that those who use Burkean methods for everything do not see the same Burke as he and others of the early adopter generation of Burkeans did. He argues especially persuasively that “The outcome turns, I think, on how Burkeian scholars employ Burke’s works in the years to come” (356). This impulse is especially relevant for the consideration of how Burke engages and has been engaged with the discourses of postmodernism. Responses to Burke from the “postmodern camp” have been especially varied and interesting, and considering some of the trends rhetorical theory has taken recently may best represent where we must look to determine precisely what the years to come for Burkean scholarship will look like. Postmodern responses to Burke tend generally to fall into one of two categories: either they rejoice in Burke’s apparent postmodern tilt or they reject Burke for being a modernist and a foundationalist. Generally, those who have resisted Burke in print since the first Jameson debate emphasize his failure to include the breadth of critical theories and approaches emerging out of the ideological and deconstructive turns. Theoretical resistance to Burke tends to come largely out of a fidelity to (piety, perhaps, if we wish to use a Burkean term) or sympathy with the project of postmodernism. Nevertheless, there are a number of scholars who discover an implicit postmodernism within Burke. For one exceptional account of the relationship between Burke and postmodernism, see Robert Wess’s Kenneth Burke: Rhetoric, Subjectivity, Postmodernism. Wess closely analyzes the Burkean corpus and puts it in conversation with postmodern thought, ultimately concluding that, while there are many different Burkes to be found in his work, Burke is undoubtedly postmodern in his arguments for the rhetorical constitution of subjectivity. Other notable postmodern takes on Burke include Cary Nelson’s “Writing as the Accomplice of Language: Kenneth Burke and Poststructuralism,” which asserts that the image of Burke as “guide to the efficacies of communication” is false and sees Burke as thoroughly poststructuralist, and Frank Lentricchia’s “Reading History with Kenneth Burke,” which argues that Burke anticipates deconstruction and locates it in a dialectic with structuralism (Nelson 158; Lentricchia 232-235). Another notable essay is David Cratis Williams’s “Under the Sign of (An)Nihilation: Burke in the Age of Nuclear Destruction and Critical Deconstruction,” which asserts that there are notable “margins of overlap” between Burke and Derrida, and that critics should convert the points of “oppositional thought” to difference rather than wage an all out war on Burke (197). There is a sense in which postmodern, poststructuralist, and/or deconstructive interpretations of Burke’s theories and criticism are forms of resistance themselves. While there is considerable room to debate the issue, and while I frequently discover some postmodern theme beneath the surface of something Burke has written (for example, in his treatments of identity and identification, in his arguments for the primacy of language in the construction of social life, in much of what he wrote in The Rhetoric of Religion), I do not believe one should conclude that Burke was himself a postmodernist unless one does so in order to distort what Burke actually wrote. For one, to call Burke postmodern is to ignore his own affinity for dialectics and historical materialism. Permanence and Change and Attitudes Toward History are both distinctly about exploring Marxist themes within the rhetorical framework that made sense to Burke.14 Second, the organizational logic of much of Burke’s work clearly indicates a modern and pragmatic attitude toward rhetoric and argumentation. One would not, for example, ever find a Lexicon Rhetoricæ such as Burke’s in Counter-Statement in a postmodern work (CS 123-183). Burke’s lexicon is Burke at his most Aristotelian, and that is something to find value in without misreading it as postmodern. One of Burke’s interests, made particularly obvious in Counter-Statement and A Grammar of Motives, is in categorizing the variety of ways rhetoric can work on a person or through a person. Burke achieves this categorical clarity through the development of vocabularies for the critic such as those established in the lexicon, the five terms of the pentad, and his frequent use of descriptive binaries (tragic and comic frames; permanence and change; container and thing contained; etc). Such an interest in categories reflects a modern sensibility, not a postmodern one. Unfortunately, throughout his career—and even today—Burke has been largely misunderstood by even his most ardent admirers… Burke is misunderstood in large part because of two coextensive desires: (1) to explore the great complexity involved in understanding the roles of language and agreement in human relations, and (2) to try to make his case in a new way, in the hope that his ideas would have more impact. (Burke has said that “everything” he wanted to say found its roots in his first book of criticism, Counter-Statement.) Put otherwise, Burke is misunderstood because the very themes he hoped to reinforce and make more persuasive are actually obscured by his series of rearticulations and extensions in new intellectual idioms… Influenced heavily by the intellectual currents of the 1950s and 1960s, scholars have sought within Burke theoretical and philosophical systematicity that is not there. Worse yet, because of the profoundly fertile observations Burke makes about the nature and characteristics of language in general, many readers have largely ignored the social and political arguments that infuse his work (Wolin xi-xii). This argument from Wolin is a biting critique of those who would interpret Burke through the postmodern “idiom” for essentially distorting the meaning of Burke’s work. Ultimately, with the postmodern interpretation of Burke we unearth the same problem Leff’s students had when they described Burke as an Aristotelian: charting the new in terms of the old. At the same time, we also discover the opposite problem: charting the old in terms of the new. Postmodern interpretations of Burke not only misread postmodernism through the lens of Burke (the new by way of the old), but also Burke through the lens of the postmodern (the old by way of the new). Chesebro’s 1995 essay “Kenneth Burke and Jacques Derrida” seeks to take focus away from potential similarities between the two thinkers and emphasize the considerable differences between their philosophies of symbol use (166-167). Chesebro’s implicit goal is to anticipate and reject analyses that would seek to align Burkeanism and deconstruction, and follows up on his description of Burke’s logocentric bias laid out in his 1992 article. Though Chesebro makes no explicit polemic here, the implication is clear: the genealogical linking of Burke with Derridean deconstructive modes of thought generally relies upon the selective reading of both. Whereas Biesecker (in Addressing Postmodernity) makes the genealogical link as a strategic move toward getting Burkeans to think about postmodernity, Chesebro denies the genealogical link as a strategic move to prevent Burkeans from co-opting deconstruction within a reductive terministic screen. The critical and resistant attitudes toward Burke I’ve described in this essay have overwhelmingly been about his scholarship and theory. However, because Burke was also a poet and novelist we ought to—with tongue firmly planted in cheek—also identify at least one example of disdain for his fiction. As David Beard notes, Yvor Winters was a contemporary of Burke’s “affiliated with the same literary critical movement” (Beard 2007). Winters describes Burke’s novel Toward a Better Life as “befogged by unexplained feeling” resulting in “diffuse lyricism” (In Defense of Reason 64). Winters writes that “One feels a discrepancy between the detail and the form; the detail appears labored, the form careless and confused” (64). Burke’s novel is “aphoristic,” and reflects his apparent desire to be quotable more than to develop a plot (37). Beard’s essay on Winters and Burke reveals the depth of Winters’ ultimate derision for Burke in an analysis of Winters’ collected letters. As Beard writes, “his disdain for Burke becomes a trope for criticizing others” (Beard 2007). Winters’ vilification reached its zenith in a letter he wrote to Burke, which Beard made into the titular quotation of his essay: “You are undoubtedly a man of remarkable mentality, but I feel that you are, at times, misguided; and unless you mend your ways, and that at an early date, I shall, with the greatest of ease and the greatest of friendliness, scour you from the earth” (Winters Letters 66). Unlike Winters, ultimately I don’t see the need to scour Burke from earth or from the realm of rhetoric. Though I agree with Wolin that Burke is not a postmodernist, one can hardly deny the productivity of this particular misreading. Resisting Burke either by calling for changes (or extensions) to his system, like those typified by Condit and Chesebro’s perspectives, or by reading him through the lens of the new (e.g., postmodernism) is not so very unlike scholarship in general. As scholars, we tend not to read key thinkers in exactly the ways they would want to be read, and in so doing sometimes fundamentally change the meanings those thinkers would want us to take away from their work. But in the end this productive misreading is often just how intellectual change, progress, or development happens. Perhaps it is in this sense that we should understand what Burke was doing in A Grammar of Motives when he marched through the history of philosophy in roughly eighty pages. Thus we come to a point at which it becomes necessary to ask whether the move to resist Burke – to revise, extend, reject, deconstruct, or harangue – could be productive. Wolin writes, “There is a big difference, I think, between saying ‘Burke makes me think…’ and saying ‘Burke says…’ I hope that greater clarity about what Burke said will improve both the extensions of Burke’s thought and our understanding of Burke himself” (xii). There is no better exemplar of one who writes in awareness of the difference between “Burke makes me think” and “Burke says” than Biesecker in Addressing Postmodernity. In Biesecker’s read of Burke, the potential for postmodernity looms, but only once the “trivium of motives” has been thoroughly deconstructed (Biesecker 74). She refers to the recovery of Burke’s limitations as “the productive possibilities of failure,” and uses his work as a starting point from which to build a postmodern theory of agency and the subject (88). Consider the attitude expressed by Biesecker, Davis and others of Burke and some Burkeans as usurpers, and Brock’s note that Burke is in danger of being inappropriately applied to all systems of thought. The image of the usurper Burke, wildly appropriating philosophy for his own methods and encouraging others to do the same, gives a sense in which the postmodern scholar may justifiably identify Burke as an intellectually dangerous force within rhetorical studies, and may resist Burkean appropriation out of the natural need to open spaces for other theoretical discourses. Biesecker, after noting this danger, in a sense reverses the image of the usurper Burke to instead claim the deconstruction of Burke for the postmodern project. In other words, Burke can be used as a productive starting point even for the resistant scholar. As a discipline, we must be willing to ask whether there is something to be gained by divesting in a Burke-centric view of our own foundations. There have been a number of compelling defenses of Burke’s ongoing influence in the discipline, such as Bryan Crable’s “Kenneth Burke’s Continued Relevance” and Andy King’s “Disciplining the Master.” Yet if such perspectives are used, as Brock suggests they sometimes are, to support the idea that there is no research question Burke’s method cannot answer, and in turn to establish the habit of reducing other critical viewpoints to a monistic Burkean lens, then such a privileging of Burke is dangerous. If, however, Burke continues to be a useful foil against which and lens through which new explorations of the realm of rhetoric are made possible, then there is no need to deliberately resist—or avoid resisting—Burke more than we have. 1. This is no doubt due not just to the prevalence of Burkean scholarship in the field, but also to editor Carolyn Miller’s own interest in Burke. In any case, as the flagship journal of the Rhetoric Society of America, Burke’s recent disproportionate representation within its pages should be taken as significant evidence of his continuing influence and disciplinary importance. 2. It’s worth noting that although Plato and Aristotle both have journals dedicated to their work, none of them are exclusively about their rhetorical theories. 3. Brummett and Young’s description of “genealogical” studies of Burke in their article is particularly helpful. The authors describe genealogical works as those that position Burke “as coming before or following on a particular scholar, theme, or line of scholarship” so as to “theoretically situate a number of issues: race, gender, culture, ethnocentrism, class, religion and social hierarchy.” The notion of the genealogical study of Burke is useful in considering the kinds of resistance this paper examines especially given such texts as Barbara Biesecker’s 1997 Addressing Postmodernity: Kenneth Burke, Rhetoric, and a Theory of Social Change and Bernard Brock’s edited volume Kenneth Burke and Contemporary European Thought, both of which focus on “showing links, connections, and influences between [Burke] and influential poststructuralists” (Brummett and Young). 4. In regards to Tate’s portrayal of Burke it should also be noted that Tate includes an extremely callous and offensive use of racial epithet as part of a (fortunately) long-dead southern colloquialism, which he uses to analogize his perception of Burke’s insincerity surrounding his own theory. 5. For a detailed exploration of Burke’s relativistic tendencies (especially in his early work), see: Heath, Robert. Realism and Relativism: A Perspective on Kenneth Burke. Macon, GA: Mercer University Press, 1986. 7. Black concluded his book with the following call: “We have not evolved any system of rhetorical criticism, but only, at best, an orientation to it… If his criticism is fruitful, he may end with a system, but he should not, in our present state of knowledge, begin with one. We simply do not know enough yet about rhetorical discourse to place our faith in systems, and it is only through imaginative criticism that we are likely to learn more” (177). 8. This makes it interesting that Black’s book includes a criticism of Burke’s interpretation of T.S. Eliot’s play Murder in the Cathedral. Black remarks of Burke’s account that “one can question how much it really reveals about either Murder in the Cathedral or T.S. Eliot. We can doubt, as a psychologist probably would, that a quest for ‘elegance’ is ever in itself a very profound motive to action, and we can suspect that such a quest, if it exists in a particular case, is never any but the most superficial expression of motive. More broadly, we can doubt that Eliot’s inner life bore quite so simple a relationship to his play as Burke alleges. We are certainly entitled to doubt, since Burke has not cited evidence for his interpretation” (26). 9. See, for example, Ehninger’s 1968 “On Systems of Rhetoric,” Scott’s 1973 “On Not Defining Rhetoric,” and their 1975 exchange “A Synoptic View of Systems of Western Rhetoric.” Though this is not the place for an in depth analysis of the influence of these articles, perhaps the most important argument of these essays is that we needn’t have a restrictive view of what constitutes rhetoric (and what is constituted by rhetoric), and that systems of rhetoric ought to always be considered as a plurality of “different but not competing” approaches (Scott 1973, 95). 10. Burke’s parlor metaphor: “Imagine that you enter a parlor. When you arrive, others have long preceded you, and they are engaged in a heated discussion, a discussion too heated for them to pause and tell you exactly what it is about. In fact, the discussion had already begun long before any of them got there, so that no one present is qualified to retrace for you all the steps that had gone before. You listen for a while, until you decide that you have caught the tenor of the argument; then you put in your oar. Someone answers; you answer him; another comes to your defense; another aligns himself against you, to either the embarrassment or gratification of your opponent, depending upon the quality of your ally’s assistance. However, the discussion is interminable. The hour grows late, you must depart. And you do depart, with the discussion still vigorously in progress” (Philosophy of Literary Form 110-111). 11. DuBois’s comments were made as part of a review of Burke’s paper “Acceptance and Rejection” published in The Southern Review and included as the first part of Attitudes Toward History. 12. Ed Appel, in an online correspondence with the Kenneth Burke Society e-mail listserv, comments on Chesebro’s shift in terms of his Burkeanism around the time of this forum debate. Appel’s notes seem to support the idea that though Chesebro is and was an established Burkean scholar, his forum essay indicated more of a resistant approach than his previous work on Burke. Appel writes: “Jim [Chesebro] was my mentor in Burke at Temple U. I heard him say at a Burke panel at ECA in Washington, spring 1994, ‘Now that he's gone, Burke will be disappearing from the scene.’  Those Burke-negative articles (no pun intended) by Chesebro and Condit followed soon thereafter… Subsequently, Jim seemed to disappear from the Burkean scene himself. I didn't see him at Pittsburgh in 1996, Iowa in 1999, or New Orleans in 2002. Jim did attend the conference at Penn State in 2005, and presented a paper. I know he attended the Burke Society business meeting in San Antonio last year. I was pleased to see him back in the Burkean fold” (Appel 2007). 13. It is certainly worth mentioning that not all feminists are opposed to Burke. For a good example of a feminist use of Burkean theory, see Japp, Phyllis. “‘Can This Marriage Be Saved’: Reclaiming Burke for Feminist Scholarship.” Kenneth Burke and the 21st Century. Ed. Bernard Brock. Albany: State University of New York Press, 1999. 113-130. 14. Granted, there is much more to both of these works than the exploration of Marxism and Marxist themes, but it features prominently in both—explicitly in some parts and implicitly in others. 15. David Williams responded to a question from Andy King about these names and Burke’s attitude toward the French by writing, “By the time Derrida and Foucault came along, Burke was attending to other things. They did not engage his theories, and I don’t think they much attracted his interest. When Burke finally got around to dabbling in some of their writing—and I don’t think he did much more than that—he was quite old and I suspect not really at all interested in major new projects that would pull him away from the projects he still had at hand, his ‘unfinished business.’ Besides, these weren’t the French of his youth, the French he loved. They were mere poseurs in the forever unreal image the artistic milieu of Paris in the 1920s that had burned so radiantly in the imagination of Burke as a young man” (King “Interview”). Aune, James A. Rhetoric & Marxism. Boulder, CO: Westview Press, 1994. Benson, Thomas. “Edwin Black: A Tribute.” Rhetoric & Public Affairs 4.3 (2001): 535-539. Black, Edwin. Rhetorical Criticism: A Study in Method. 1965. Reprint, Madison: University of Wisconsin Press, 1978. Brock, Bernard. "The Forum: Burke, Revisited and Reviewed." Quarterly Journal of Speech 78 (1992): 347-348. Burke, Kenneth. Counter-Statement. 2nd edition. Berkeley: University of California Press, 1968. —. A Grammar of Motives. Berkeley: University of California Press, 1969. —. A Rhetoric of Motives. Berkeley: University of California Press, 1969. —. The Rhetoric of Religion: Studies in Logology. Berkeley: University of California Press, 1970. —. The Philosophy of Literary Form. 3rd edition. Berkeley: University of California Press, 1973. —. “Methodological Repression and/or Strategies of Containment.” Critical Inquiry 5.2 (1978): 401-416. —. Permanence and Change: An Anatomy of Purpose. 3rd edition. Berkeley: University of California Press, 1984. —. Attitudes Toward History. 3rd edition. Berkeley: University of California Press, 1984. Bygrave, Stephen. Kenneth Burke: Rhetoric and Ideology. London: Routledge, 1993. Chesebro, James W. “Extensions of the Burkeian System.” Quarterly Journal of Speech 78 (1992): 356-368. —. "Kenneth Burke and Jacques Derrida." Kenneth Burke and Contemporary European Thought. Ed. Bernard L. Brock. Tuscaloosa: University of Alabama Press, 1995. 166-206. Condit, Celeste Michelle. "Post-Burke: Transcending the Sub-stance of Dramatism." Quarterly Journal of Speech 78 (1992): 349-355. —. "Framing Kenneth Burke: Sad Tragedy or Comic Dance?" Quarterly Journal of Speech 80 (1994): 77-82. Crable, Bryan. "Ideology as "Metabiology": Rereading Burke's Permanence and Change." Quarterly Journal of Speech 84 (1998): 303-319. Davis, Diane. “Identification: Burke and Freud on Who You Are.” Rhetoric Society Quarterly 38.2 (2008): 123-147. DuBois, Arthur. 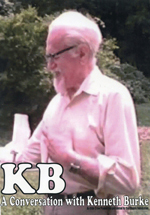 “Accepting and Rejecting Kenneth Burke (1937).” Critical Responses to Kenneth Burke 1924-1966. Ed. William Rueckert. Minneapolis: University of Minnesota Press, 1969. 80-89. Ehninger, Douglas. “On Systems of Rhetoric.” Philosophy & Rhetoric 1.3 (1968): 131-144. Ehninger, Douglas. “II. A Synoptic View of Systems of Western Rhetoric.” Quarterly Journal of Speech 61.4 (1975): 448-453. Heath, Robert. Realism and Relativism: A Perspective on Kenneth Burke. Macon, GA: Mercer University Press, 1986. Hockmuth Nichols, Marie. “Kenneth Burke and the ‘New Rhetoric’ (1952).” Critical Responses to Kenneth Burke 1924-1966. Ed. William Rueckert. Minneapolis: University of Minnesota Press, 1969. 270-287. Hook, Sidney. “The Technique of Mystification (1937).” Critical Responses to Kenneth Burke 1924-1966. Ed. William Rueckert. Minneapolis: University of Minnesota Press, 1969. 89-97. Hook, Sidney. “Is Mr. Burke Serious? (1938)” Critical Responses to Kenneth Burke 1924-1966. Ed. William Rueckert. Minneapolis: University of Minnesota Press, 1969. 97-102. Jameson, Fredric. "The Symbolic Inference; Or, Kenneth Burke and Ideological Analysis." Critical Inquiry 4.3 (1978): 507-523. —. “Ideology and Symbolic Action.” Critical Inquiry 5.2 (1978): 417-422. —. The Political Unconscious: Narrative as a Socially Symbolic Act. Ithaca: Cornell University Press, 1981. Leff, Michael. "Burke's Ciceronianism." The Legacy of Kenneth Burke. Eds. Herbert W. Simons and Trevor Melia. Madison: University of Wisconsin Press, 1989. 115-127. Lentricchia, Frank. "Reading History with Kenneth Burke." Landmark Essays on Kenneth Burke. Ed. Barry Brummett. Davis: Hermagoras Press, 1993. 232-240. Nelson, Cary. "Writing as the Accomplice of Language: Kenneth Burke and Poststructuralism." The Legacy of Kenneth Burke. Eds. Herbert W. Simons and Trevor Melia. Madison: University of Wisconsin Press, 1989. 156-173. Rosenberg, Harold. “A Review of Counter-Statement (1932).” Critical Responses to Kenneth Burke 1924-1966. Ed. William Rueckert. Minneapolis: University of Minnesota Press, 1969. 26-30. Scott, Robert. “On Not Defining Rhetoric.” Philosophy & Rhetoric 6.2 (Spring 1973): 81-96. —. “Colloquy I. A Synoptic View of Systems of Western Rhetoric.” Quarterly Journal of Speech 61.4 (Dec. 1975): 439-447. Smit, David W. "Burke Contra Jameson on Ideological Criticism; or How to Read Patricia Hampl Reading Whitman During the Vietnam War." Rhetoric, Cultural Studies, and Literacy: Selected Papers from the 1994 Conference of the Rhetoric Society of America. Ed. John Frederick Reynolds. Hillsdale: Lawrence Erlbaum Associates, Publishers, 1995. 79-88. Tate, Allen. “Mr. Burke and the Historical Environment (1937). Critical Responses to Kenneth Burke 1924-1966. Ed. William Rueckert. Minneapolis: University of Minnesota Press, 1969. 62-70. Tompkins, Phillip K., and Cheney, George. "The Forum: On the Limits and Sub-Stance of Kenneth Burke and His Critics." Quarterly Journal of Speech 79 (1993): 225-231. Vickers, Brian. In Defence of Rhetoric. Oxford: Clarendon Press, 1988. Wess, Robert. Kenneth Burke: Rhetoric, Subjectivity, Postmodernism. Cambridge: Cambridge University Press, 1996. Williams, David Cratis. "Under the Sign of (An)Nihilation: Burke in the Age of Nuclear Destruction and Critical Deconstruction." The Legacy of Kenneth Burke. Eds. Herbert W. Simons and Trevor Melia. Madison: University of Wisconsin Press, 1989. 196-223. Winters, Yvor. In Defense of Reason. Athens, OH: Swallow Press, 1987. —. Selected Letters of Yvor Winters. Ed. R. L. Barth. Athens, OH: Swallow Press, 2000. Wolin, Ross. The Rhetorical Imagination of Kenneth Burke. Columbia, SC: University of South Carolina Press, 2001. "Reading Resistance to Kenneth Burke: “Burke the Usurper” and Other Themes"; by John P. McKenzie is licensed under a Creative Commons Attribution-No Derivative Works 3.0. Based on a work at www.kbjournal.org.